Annual Reception of the Flame of Peace took place in the City Hall of Vienna. Dr. Hong, Tao-Tze, president of Federation of World Peace and Love (FOWPAL), led young yolunteers to share the essense of martial arts and beautiful peacock dance with participants from 35 different countries. 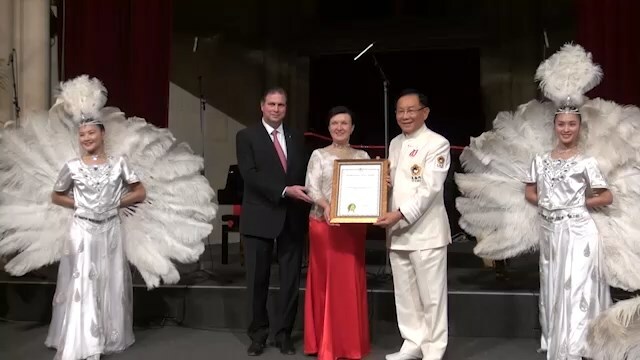 President Habsburg awarded Dr. Hong, the medal of Merit and Gold in recognition of his efforts in fostering love and peace around the world.